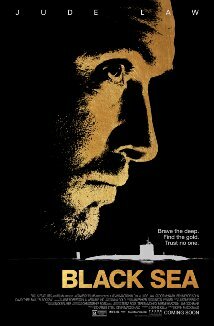 Black Sea, is the latest from director Kevin MacDonald (Last King of Scotland). It features Jude Law (Sleuth, Dom Hemmingway) as submarine captain Robinson, on the hunt for a submarine, lost somewhere in the Black sea and rumoured to be laden with gold. There is a wide cast and it also features Michael Smiley (Luther, A Field in England). Firstly, if it’s got Michael Smiley, I’m always interested and secondly, if it’s got Jude Law, I’m sometimes interested. This film therefore has good odds on it being excellent, given the director’s previous films. We see Robinson being made redundant by a marine salvage company whom he’ served loyally for years. With a meagre payout, we can see his guilt about not raising his son, who lives with his mum and a wealthy step-father. Presented with the chance to lift gold from a lost Nazi submarine, from a decidedly shady operation, the crew gets assembled: half British, half Russian. Once the mission is underway, tension mounts very quickly and before long the Aussie (previously described as a liability) has gone rogue, killing a Russian. One by one, the crew is whittled down – murdered, or killed by the sheer danger of what they’re doing. This is one helluva tense movie! 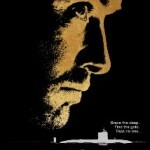 Most other submarine-based films don’t come close to this. I’ll put this down to a story that doesn’t quite go the way the trailer might lead you to believe and perhaps more importantly, a genuinely realistic re-creation of a knackered, Soviet-era submarine, complete with rusty machinery and filthy living conditions. As the lure of the gold gradually overtakes the minds of the crew onboard, human rationale disappears, along with a few bodies and inevitably the ability to actually sail the submarine. By the time we reach the end, Robinson reminded me very much of Harry Caul, in The Converation: forlorn and hoist by his own petard.